This is an original unit list from the Star Wars film, Return of the Jedi, using the working title of the movie, Revenge of the Jedi. The list contains the names of all the people across every department including contractors hired for on-location shoots. 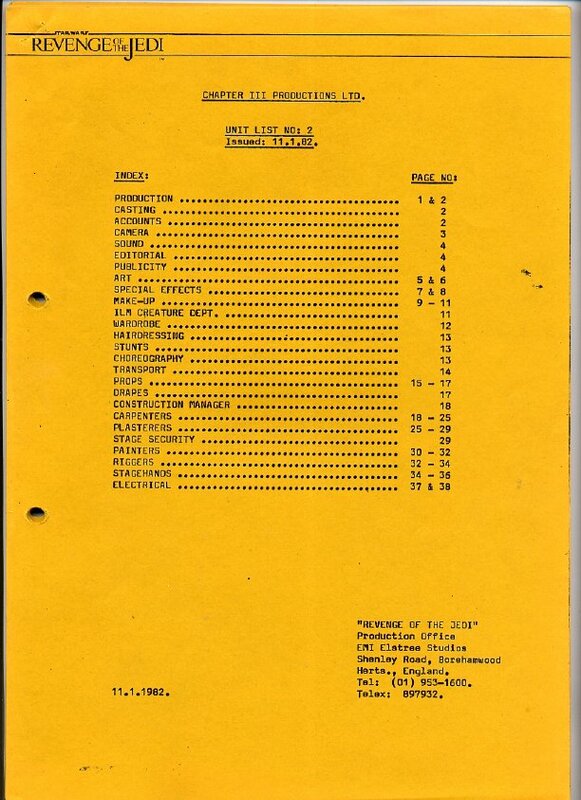 Note the use of the name, Chapter III Productions, which was the name of the production company for Return of the Jedi, the third film in the saga. This list came originally from Stuart Freeborn, the world-renowned makeup and mask artist who created the creatures for the first three Star Wars films.